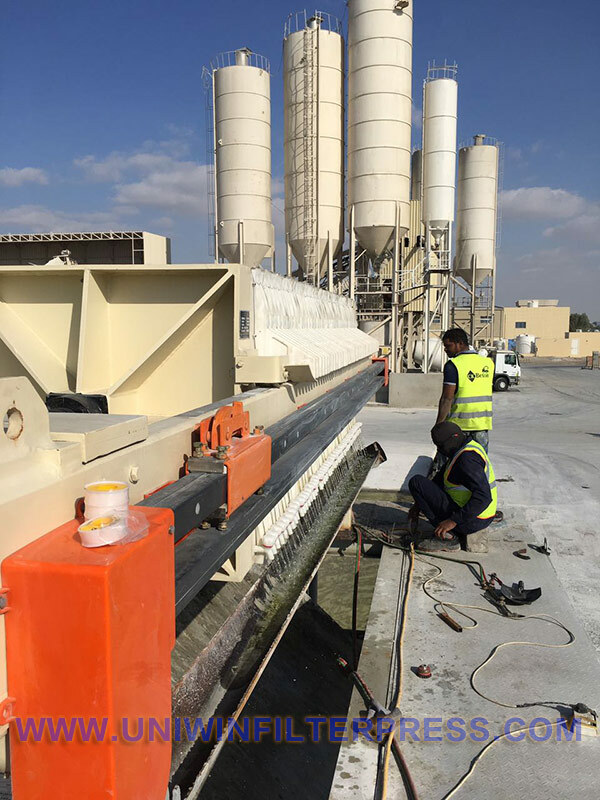 In October, we received an inquiry about filter press from UAE to be used in ready mix concrete plant to recycling the water mixed with cement and capacity is 4,000-10,000 gallon per day . We choosed the automatic shifting filter press model XMZ 80/1000-30U for them and after detailed technical discussion, the customer placed order from us because of our professional service and competitive price. It takes 20 days for production, and 30 days on sea to Dubai port,UAE, after custom clearing,the customer got the filter press in their factory. Together with the filter press machine, we sent the detailed install and operation manual with clear pictures, and our engineer was WhatsApp online for guiding, our customer finished the installation in two days and everything runs very well. Our customer gave us highly praise on our after sales service and the filter press quaility. UNIWIN filtering, filter what you concern!